Sen. Bernie Sanders stands outside his campaign bus in Carroll, Iowa, on Jan. 19, 2016. 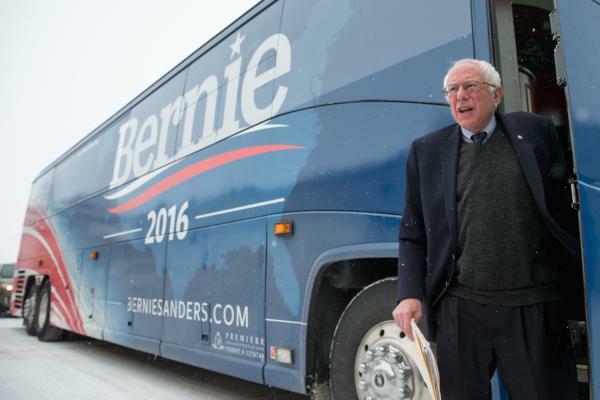 Sanders announced Tuesday that he's running for president in 2020. The 2020 Democratic presidential primary will be similar to 2016 in at least one regard: Bernie Sanders is running for the nomination. 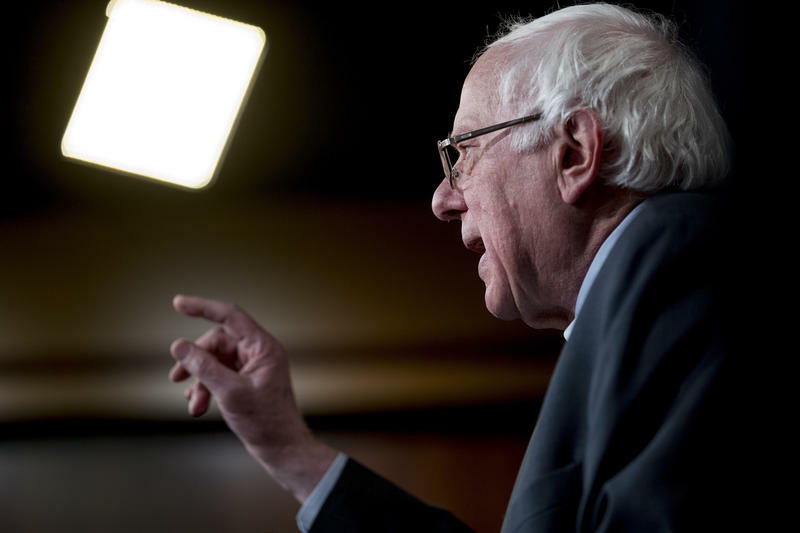 But political observers say the electoral landscape has changed dramatically since Sanders’ last presidential bid, and not necessarily in ways that favor his latest candidacy. Iowa City resident Paul Wittau was one of the progressive young voters that fueled Sanders’ surge in 2016. In January of that year, just a few days before the Iowa caucuses, VPR interviewed Wittau at a political rally in Iowa City. “I think the thing that pulled me to Bernie the most is just anytime he spoke it just kind of got me excited, you know?” Wittau said then. Reached by phone Tuesday morning, Wittau said he was “glad to hear” that Sanders had announced another run in 2020. But while he retains an allegiance to the senator from Vermont, Wittau said he wants to study up on a slate of 2020 Democratic contenders that seems to be growing by the day. “I’m not ruling anyone out yet. I kind of want to see how things progress a little bit more,” Wittau said. In early 2016, the choice for progressive Democratic voters like Wittau was a simple one: Sanders was the only candidate calling for "Medicare for All," the only one promising tax hikes on the wealthy to pay for tuition-free public college. That’s not the case in 2016, according to Norwich University political science professor Ted Kohn. “It’s not 2016 anymore. And it’s not just that Bernie Sanders isn’t the liberal alternative to Hillary Clinton — back then, he was the only alternative to Hillary Clinton,” Kohn said. Kohn said Sanders’ status as the lone “anti-establishment outsider” has been subsumed by a roster of compelling Democratic candidates who mostly share his progressive platform. “Really his candidacy represented something in 2016 that I just don’t think ... it will in 2020,” Kohn said. More from NPR: "Which Democrats Are Running In 2020 — And Which Still Might"
Ken Rudin, host of the weekly podcast Political Junkie, said it’s true that Sanders’ platform no longer differentiates him in the way it did two years ago. 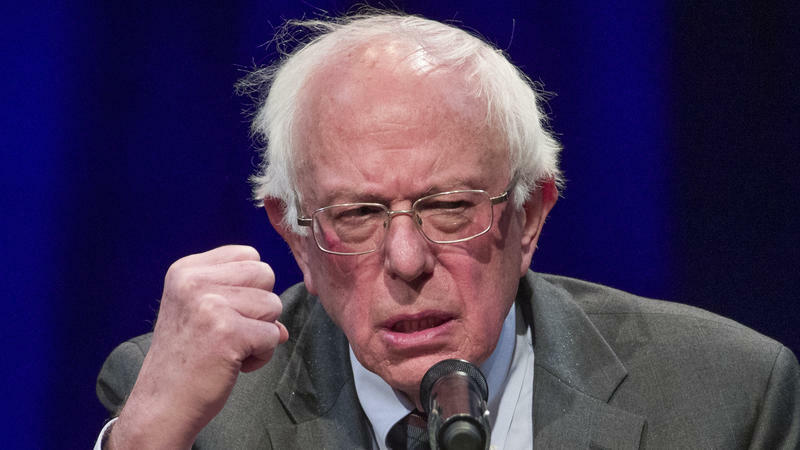 But he said Sanders does carry one key advantage: “A base of supporters, base of low-dollar contributors that other candidates would kill for, ... could only dream about,” Rudin said. The question now, according to Rudin, is whether Sanders can hold onto that base, or if it’ll migrate to one of the dozens of contenders expected to enter the field in the coming months. Matt Dickinson, professor of political science at Middlebury College, said it could be harder for Sanders to hold that base in 2020 than it was in 2016. “His support was generated as much by opposition to Hillary Clinton as it was support for his relatively unorthodox views,” Dickinson said. Dickinson said Sanders’ voice, however, may resonate more loudly than the candidates now offering substantially similar messages. Brent Budowsky, who formerly worked as an aide to several prominent Democratic U.S. senators and House members, said he isn’t convinced candidates’ policy platforms will be the deciding factor in 2020. “Who can save America from the horrifying ugliness that will happen if Donald Trump is re-elected? That is the dominant view, in my view, of most Democrats that'll be voting in primaries and attending caucuses,” Budowsky said. And Budowsky said that calculus may well play to Sanders’ strengths. “He did very well [in 2016] running against Trump in almost every matchup poll,” Budowsky said. Sanders hopes that this time around, he’ll have a shot at the Trump matchup he missed out on in 2016. And so do his seatmates in Congress — both Sen. Patrick Leahy and Rep. Peter Welch endorsed Sanders for president on Tuesday. Sen. Bernie Sanders has confirmed to VPR that he is seeking the 2020 Democratic presidential nomination. A handful of potential and declared 2020 presidential candidates are spending Presidents Day Weekend criss-crossing New Hampshire. NHPR's reporters are on the trail, and filed these reports. Democratic Sen. Elizabeth Warren made her run for the 2020 presidency official Saturday in Lawrence. 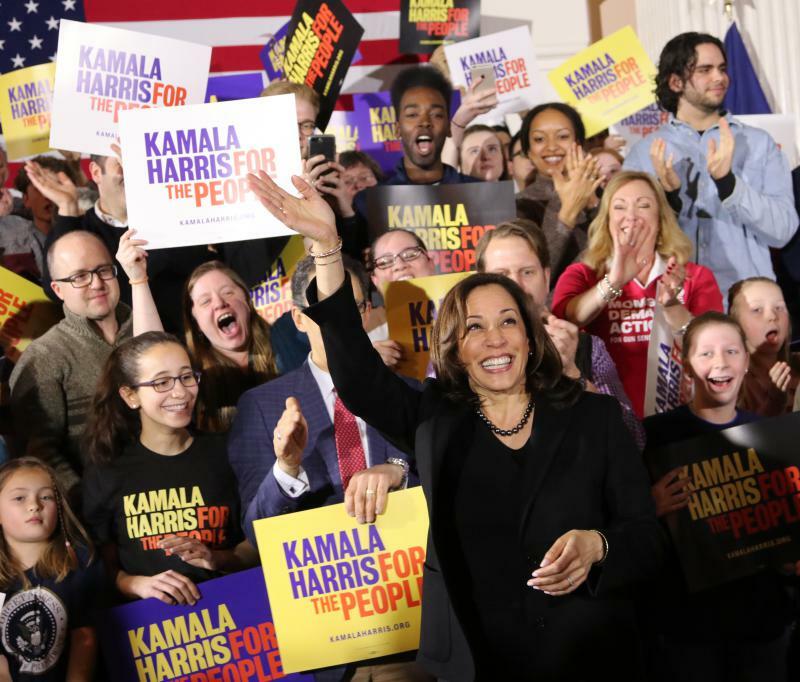 In her presidential kickoff speech at a mill site where many immigrant factory workers went on strike about a century ago, she pledged her campaign will “build an American that works for everyone,” putting emphasis on combating economic inequality in the U.S. 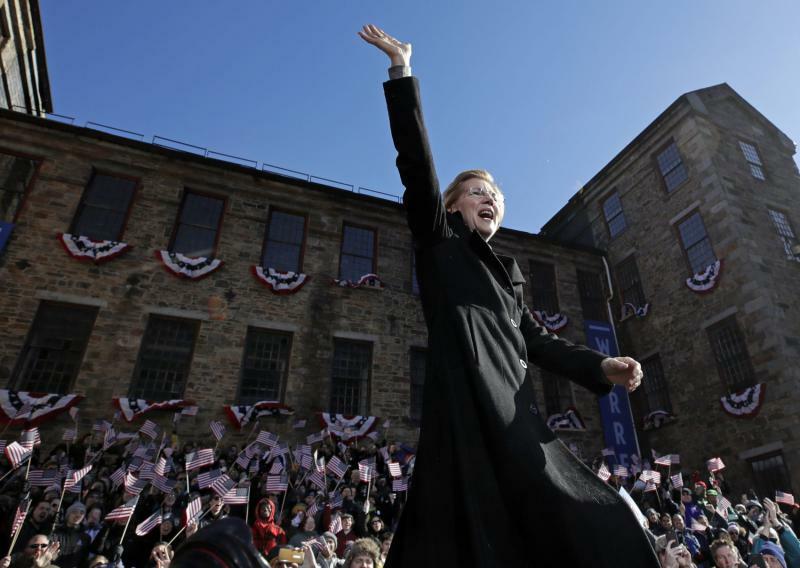 Despite the sub-freezing temperature, scores of people gathered to hear a fired-up Warren outline her agenda if elected as America’s first woman president.